The beamwidth of the radar antenna is usually understood to mean the half-power beamwidth. 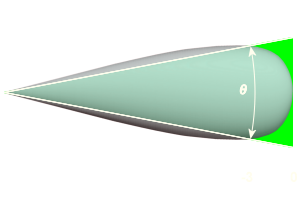 The peak radiation intensity is found in a series of measurements (mostly in an unechoic chamber) and then the points on either side of the peak which represent half the power of the peak intensity are located. The angular distance between the half power points is defined as the beamwidth. Half the power expressed in decibels is −3 dB, so the half power beamwidth is sometimes referred to as the 3 dB beamwidth (θ3) or as the Half Power Beam Width (HPBW). Both horizontal and vertical beamwidths are usually considered. In the interest of making possible direct measurement of parameters from oscilloscope waveforms, it has been customary to utilize widths measured also at the half-voltage points (−6 dB) This is expressed in the variable name θ6. These half-voltage points haven't the same position on the diagram of the antenna pattern as the half power points. Assuming that the impedance is the same, half the voltage will cause half a current. Half the current multiplied by half the voltage gives one quarter of the power, expressed in decibels —6 dB. If RF-voltage measurements should be used for estimating the beamwidth of an antenna, then the 0.707 voltage points characterize the half-power beamwidth. As a first approximation, it is assumed that the side lobes of the antenna can be neglected and the total power generated by the transmitter is concentrated in the main lobe. In order to correct the effects of this approximation with theoretical calculations, the term Beam Shape Loss is introduced. 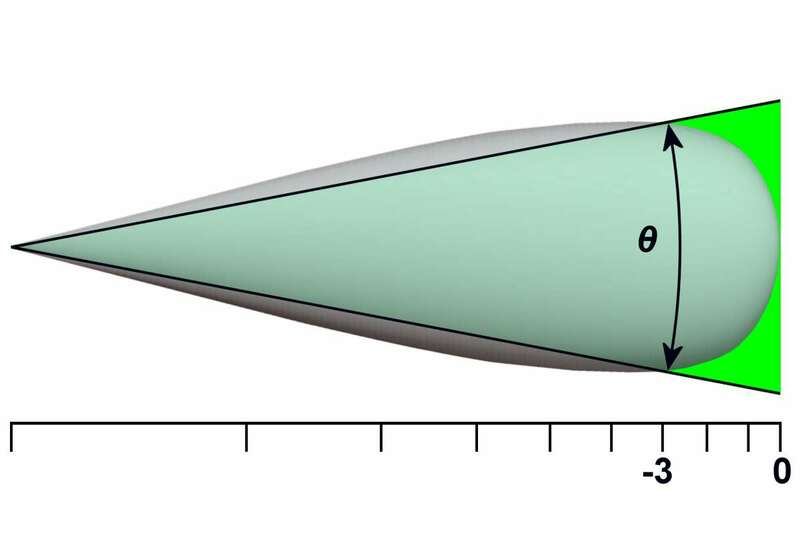 A second approximation is the assumption that the total power is within the half-power beamwidth of the antenna and evenly distributed within it (see Figure 1, the green colored area). On the other hand, it is assumed that no power can be measured outside the half-power beamwidth. If it is necessary to correct the effects of this approximation in the calculation of distances or signal amplitudes then the Beam Width Factor can be used. Because of these approximations, it is possible to use the gain of the antenna and the power generated by the transmitter directly in the radar equation as a parameter.